Are Slip and Fall Accidents More Common During the Holidays? Are Slip and Fall Accidents More Common During the Holidays? Slip and fall accidents can happen any time of the year, but they are more prevalent during the holiday season. Just when you’re looking forward to enjoying time with your family, a serious accident can occur, leaving you or a loved one in the hospital when you’d rather be enjoying Christmas dinner or ringing in the New Year. The CDC reports that about 5,800 people are treated in the emergency room for holiday related slip and fall accidents every year. In fact, men are 40% more likely to be injured in a holiday fall than women. 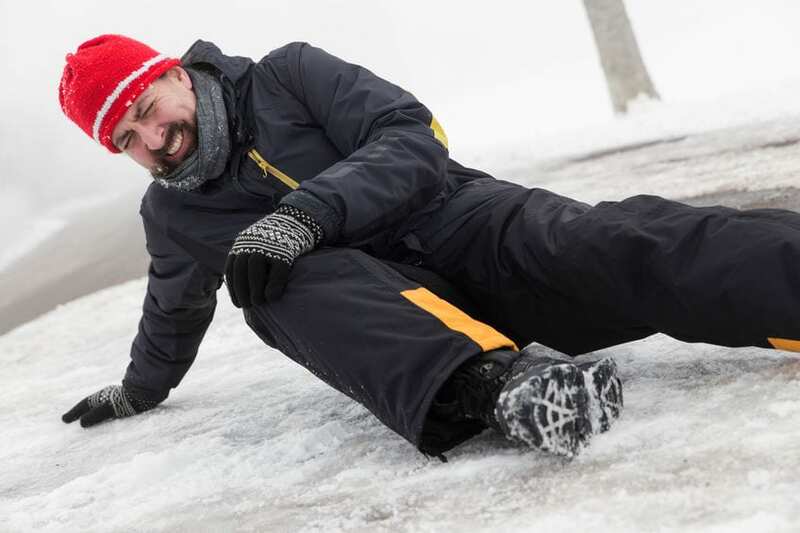 Here’s how you can avoid common slip and fall accidents during the holidays and what to do if you or a loved one spent the season recovering from an injury instead of with your family. The last thing you want to do during your holiday vacation is going to the emergency room, but if you’ve suffered a fall, that’s exactly what you need to do — even if you feel fine. Often, the shock of a fall may keep you from feeling pain and realizing you’re injured. Also, head injuries may not present symptoms right away. It’s important to get checked out. Failure to do so can not only cause your injuries to worsen but may also compromise a legal claim later on. After you’ve been treated for your injuries, it’s important to consult with a personal injury attorney to determine if you have a case. Many people assume that holiday slip and falls are just unfortunate accidents, but they are often preventable and may be attributed to someone else’s negligence. Contact an experienced slip and fall lawyer as soon as possible following your injury or the injury of your loved one. Chalker Injury Law answers phones 24/7 and can help you navigate the difficult terrain following a slip and fall during the holidays. Call at 678-319-9991.